Sweet Jeanette: GUEST POST - Becky from Our Peacful Home ! Becky Webb is a mom of two blessings, 6 months and two years. She blogs at www.ourpeacefulhome.com where she shares ideas and inspiration for the frazzled mama to make her home a peaceful place. She is passionate about her relationship with Jesus, being her husband's biggest cheerleader, and being a mother to her little ones. Becky has served as a Christian writer and speaker and loves to encourage other women as they walk through life. Make a Jesse Tree and share it with your children during advent. A Jesse tree is a great way to share with you children the true meaning of Christmas. You can purchase one or you can make your own. For each day there is a scripture passage to read and a related item to hang on the Jessie tree to remind them about this special season. A Jessie tree is a great way to share how the message of Christ is woven throughout the bible and not just in the gospels. I am excited because this is the first year that I will be able to share a Jessie tree with my children. My oldest is two this year and is just beginning to understand his surroundings, he loves his bible and we talk about Jesus on a regular basis. My prayer for him is that he will begin to get just a glimpse of what Christmas really means even at the young age of two. I love the Jessie Tree because it is an audio and visual tool in order to share with your child throughout the month of December. Operation Christmas Child is one of our favorite ministries to participate in and it is among the easiest to share with small children. Knowing that you are sharing Jesus with a child that is on the other side of the world is priceless. Take your children out shopping with you to help pick out the items. It will help them feel like they are really involved. Our rule of thumb is to pack at least one box per child so that they can have their very own box to pack. You of course are welcome to do more if you would like. Take some time with your kids to pray for the children to whom you are sending these special gifts. Pray that the recipients with meet Jesus by receiving this box. What a great way to begin to teach giving, sharing, and the love of Jesus to a little one. You never know how God might use it. Small children love to be in the kitchen. Pull up a chair for them to climb up in to bake, don’t worry about the mess. Just have fun! Help you child measure out the ingredients and put them in a bowl to make a cake. Have your little helper stir the ingredients as you share the reason for the season with him or her. Don’t worry about the kitchen being clean and neat and having the perfect measurements. Explain to your child about Christmas being the day that baby Jesus was born. After you bake your cake allow it to cool and spend some fun time decorating it together. Pick up candy and allow your child to place it on the cake wherever he or she would like. Be creative. 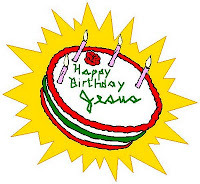 It would be easy to get into this project by putting candles on the cake and having a birthday party for Jesus. You could buy streamers and balloons and throw a party. This event doesn’t have to be on Christmas or Christmas Eve unless you would like. You could do it anytime during the season. It would be a lot of fun to talk about what you want to give Jesus for his birthday along with your child. What a great opportunity to share with your child all that it means to give their hear to Jesus as a gift to him. These are just three ideas to get you thinking about ways to share Jesus with your little ones this Christmas season. As I was writing this post I began to think of many more wonderful things one could do to begin to soften your child’s heart to really understand the truth of the gospel and how to live it out in everyday life. If you have any family traditions or ways that you share Jesus with your little ones at Christmas I would love to hear your comments and suggestions. Thank you Becky for your ideas! I love the Operation Christmas Child - we do this annually at our church. I believe we were wired to be charitable. It's where we find a great deal of happiness and fulfillment. The Birthday Cake for Jesus is a wonderful idea, it puts into perspective just who the celebration is all about...not us. I've heard about the Jesse Tree, but never seen one, maybe this will start something among my friends with their little ones. Great ideas! Thanks again! What great ideas!! When the boys were little we always made 2 shoe boxes every Christmas! It was a great way for the boys to pick out little gifts for someone else. Haven't made one in years - might have to again.